CaaStle is a fully managed service that allows retailers to offer Clothing as a Service (CaaS) to their consumers. CaaS is a proven access model with transformative benefits for retailers and consumers. By offering a CaaS model your consumers will have the opportunity to experiment more deeply with your brand not only by owning garments, but by accessing a rotating collection each month. Build a more profitable and valuable business. Grow top line with new customers and increase total brand spend from existing customers. CaaStle provides technology, reverse logistics and managed services to help retailers participate in the new economy. Attract new customers to a relationship-based model and make them your loyalists. Re-engage lapsed customers through a more attractive, access-based experience. Attain a predictable, recurring revenue stream with high average revenue per user. Instead of purchasing garments infrequently consumers are spending money with your brand every month. Achieve greater return on inventory. Make money every day a garment is with a customer, improve garment monetization and leverage unique CaaStle data to improve your overall business. Complement your traditional retail channels. CaaStle creates a new high margin revenue stream. Build an active customer base. CaaStle customers engage deeply with the service. We launched CaaStle less than a year ago. 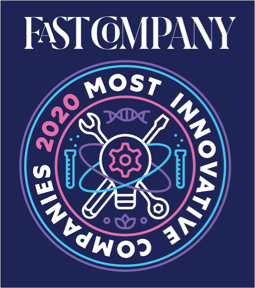 To be recognized in this way by Fast Company—and so quickly—is a testament to our extraordinary team and to the vision of our early brand-partners: Ann Taylor, NY&Co, Express, Vince, Rebecca Taylor, American Eagle, and of course, our founding partner, Gwynnie Bee.